Lenovo Inc., of Morrisville, N.C., is recalling about 83,500 ThinkPad X1 Carbon laptops (5th Generation) sold in the U.S. and Canada. There have been no reports of overheating in the U.S. This recall involves 14-inch ThinkPad X1 Carbon 5th Generation laptops sold in silver and black. 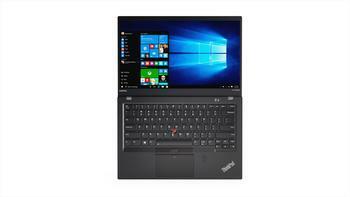 The product name “5th Generation Lenovo ThinkPad X1 Carbon,” the machine type 20HQ, 20HR, 20K3 or 20K4 and the serial number or S/N are printed on the bottom of the laptop. Laptops manufacture dates from 16/12 through 17/10 (for December 2016 through October 2017) are included in the recall. The manufacturing date codes can be found on the bottom of the laptop. The laptops, manufactured in China, were sold at Lenovo.com, CDW, Insight, Connection, Zones, and to other PC resellers from December 2016, through November 2017, for between $1,100 and $2,600. Consumers may contact Lenovo Services at 800-426-7378, 24 hours a day, seven days a week, an authorized Warranty Services Provider or online at www.lenovo.com and click on Products and Services to access the recall section.